Thales announced today at Paris Airshow 2015, that they have been selected by the Jordanian Armed Forces to provide further I-Master SAR/GMTI radars for the Royal Jordanian Air Force. The selection follows the successful delivery and installation of the radar onto their Royal Jordian Air Force AC-235 aircraft in 2014. I-Master is a compact, lightweight, all-weather tactical surveillance radar, providing world-leading Ground Moving Target Indication (GMTI), Synthetic Aperture Radar (SAR) performance and Maritime Moving Target Indication (MMTI) mode. I-MASTER provides high fidelity imagery for classification and positioning with the ability to accurately detect and locate moving targets at long stand-off ranges over land and sea. 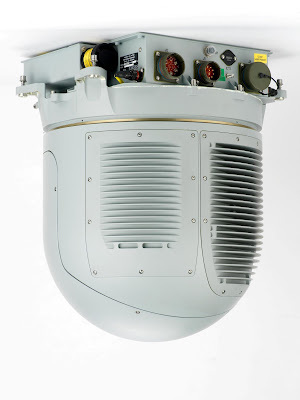 The choice of modes in a single sensor, together with its small form factor and high-performance capability, makes I-Master ideally suited for a wide range of manned and unmanned, fixed and rotary platforms. “Thales is particularly pleased to be able to supply our I-Master radar to the Royal Jordanian Air Force with whom we have shared a long history over many years of collaboration in the delivery of ISR capabilities”. Eddie Awang, Thales’s Vice President in charge of Intelligence, Surveillance & Reconnaissance business.